Renault Duster launch postponed to October 2012! Renault India has postponed the launch of the much awaited Duster compact SUV to October 2012. 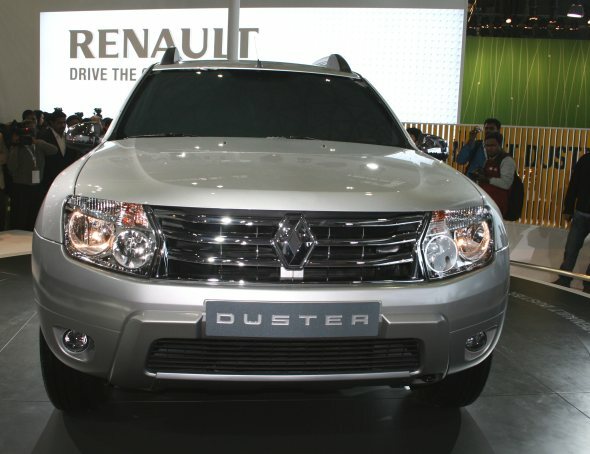 Earlier, the Duster was officially scheduled to be launched in June 2012. The delay may be due to the trend of potential buyers splurging during and around ‘Diwali’ during October. Bookings for the Duster have already started and the booking amount ranges between Rs. 50,000 and Rs. 1 lakh. Photo: The Duster will likely be a game changer for Renault especially if it is priced competitively! The Duster is one of the most awaited launches of 2012. It will be a 5-seater SUV and could be priced in the range of Rs. 7 lakh – Rs. 10 lakh. 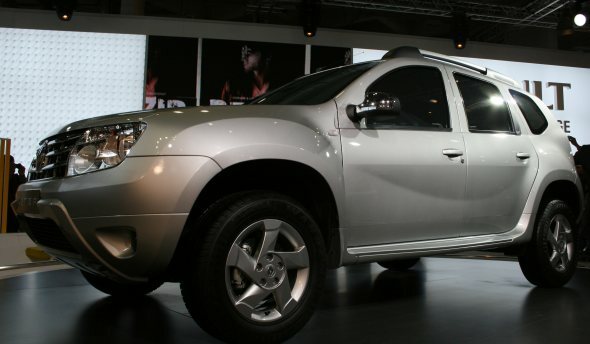 Renault showcased the Duster at the 2012 Delhi Auto Expo. With compact dimensions (4,300 mm length and 1,800 mm width) the Duster is only slightly larger than the Skoda Yeti 5-seater SUV. That too is because the Duster is based on the Logan sedan’s platform. You may also be interested in Compact SUVs a hit at Auto Expo 2012: Video. The Duster is a true SUV by Indian standards for it has well pronounced wheel arches, butch looks and a generous 210 mm of ground clearance. With its short overhangs of 822 mm at the front and 800 mm at the rear, the Duster offers good clearance angles while driving off-road. The Duster is expected to be powered by a 1.5-litre dCI motor and will likely be offered in two engine options with power outputs of: 85 bhp and 110 bhp. The Duster petrol version is expected to be powered by a 1.6-litre motor that puts out 105 bhp of power. Photo: The Duster is one of the most awaited cars this year and an October launch may help it woo customers! In all, the Duster is expected to come in five variants. As per the official website, the Duster will come with safety features such as dual front airbags, ABS with brake assist and EBD (Electronic Brake force distribution). The comfort features will include keyless entry, boot space of 475 litres and driving aids such as a rear defogger, rear wiper & washer, electric mirrors, rear parking sensors and front fog lamps. With regard to gadgetry, the Duster will offer music system with USB, aux-in, Bluetooth connectivity, four speakers, satellite audio & phone controls. In terms of looks, the Duster will have a stylish chrome grille, twin barrel headlamps, 16-inch alloy wheels and leather upholstery. The Duster will squarely aim at the upcoming Ford EcoSport. But the Duster may gain advantage as it comes with an already proven diesel engine (as in Nissan Sunny) while Ford is banking on the 1-litre EcoBoost petrol motor for the EcoSport. With the launch rescheduled for October, expect the Duster and the EcoSport to hit the market within a close time period.